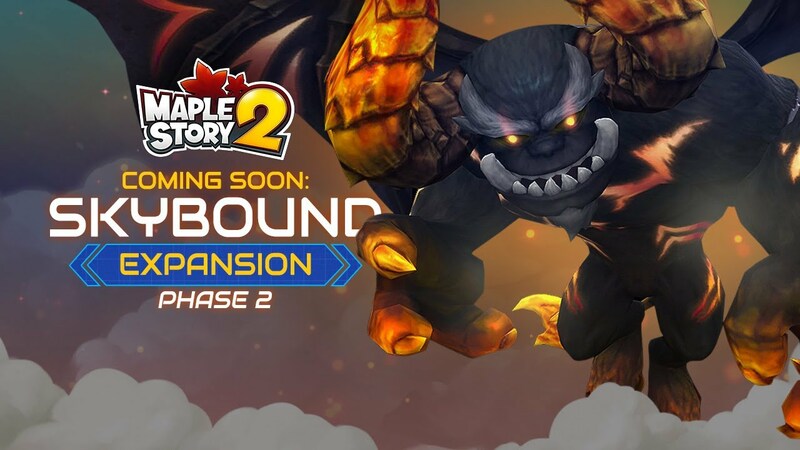 The second phase of the Skybound expansion for MapleStory 2 is slated to arrive on January 10. Nexon announced the news today alongside word that the expansion content will include a new chapter of "epic quests," plus new dungeons, Chaos Raids, and seasonal events. One of the big highlights from this update will be the introduction of the Fortress Rumble Dungeon. This new dungeon will reward players with Legendary weapons and armor by progressing through the ranks. Let's see what else this new update will bring on the 10th. The update also brings the incredibly challenging Wrath of Infernog Chaos Raid. Players can enter when they earn the “Alliance Soldier” Trophy and have reached at minimum level 50 with a 9,000 gear score. Players who complete this dungeon will have the opportunity to obtain Pluto’s accessory set: the very first Legendary accessories in the game. Additional updates include Housing User Interface adjustments, and a variety of fun seasonal events to kickoff the New Year. • 2019 Lucky Pouch - Players level 10 and above can complete various quests to obtain a Lucky Pouch, and additionally can earn rewards by opening specific numbers of Lucky Pouches. • Hide-and-Seek Hijinks - Players level 10 and above must complete 16 various quests based on the corresponding NPCs. Players who complete quests will obtain rewards. Players who became “Friend of the Day” and contributed to the quest condition check will get a buff.